It's week #3 for The Beauty Tester series and I am so excited to share what I have been recently testing out. For the past two weeks I have been using the PMD tool. The PMD personal microdermabrasion is a tool that is supposed to replicate a microdermabrasion treatment given by professionals. I am a licensed esthetician and specialize in microderms so I was beyond intrigued to see if this really did match the treatment you could get done at a spa but at a fraction of the price. 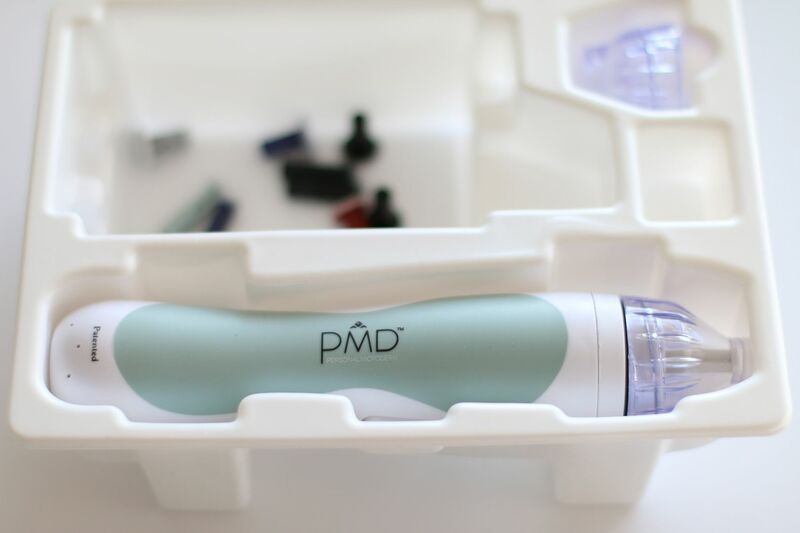 My Expectations Before I Tried It: Since the PMD tool uses the same aluminum oxide crystals as a professional microdermabrasion, I had high hopes for this little tool. I read tons of positive reviews before purchasing and I figured since I am somewhat of an expert in technique etc (poppin collars over here haha) that this would be a breeze to figure out and use. 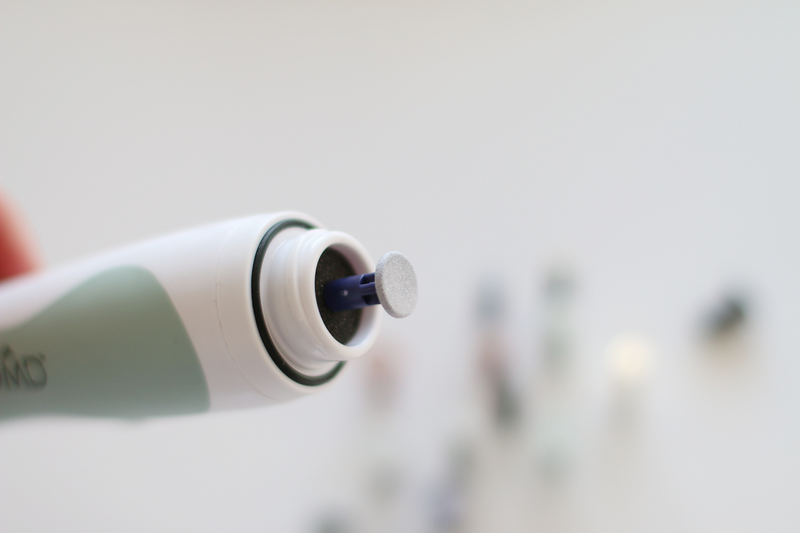 I was however unsure how comparable the suction feature would be compared to a professional treatment, which is a pretty important aspect when it comes to getting results. Either way I knew this was something that I wanted to test and went ahead with the purchase. Cost: $159 for the entire kit, which includes a variety of disks for all levels of sensitivity, 2 caps (one large for body exfoliation and one small for facial exfoliation), 1 reusable filter and a how-to DVD. I use to charge $90-$120 for a single microderm so I thought this was a great price. Prep or Directions: I washed my face and opened the box. The first thing it said was to watch the DVD and read all the directions. Well, I got a little cocky and figured I knew what I was doing so I did not watch the DVD or read the directions. I decided to just wing it. I mean how hard could this be to figure out? Bad idea. I placed a random disk onto the head and gave it a whirl. OUCHHHHH! Okay the disk I placed on first was apparently for the bottom of your feet or something because it was rough! I got a nice little flesh wound under my left eye from it. So from that moment on I decided it was best to read the directions ha! Once I had it all figured out and knew what discs to use I tried it again. I held my skin tight with my left hand and used my right hand to swiftly move the tool across my skin. This thing was a dream! The Results: Well minus the scrape under my left eye (totally my fault), the final results were pretty amazing. The suction feature was comparable to a professional treatment and overall it is a clean and easy to use beauty tool. After only one treatment my skin looked and felt so incredibly soft and healthy. All the little flakes that I have been experiencing were gone and the pores around my nose and chin were visibly smaller. I have now been using the PMD for two weeks and I can't say enough good things about it. It has minimized fine lines around my eyes and has made my skin look so much more refreshed and even toned. My Rating: I give the PMD an A. I am so thrilled with the results that I have seen so far and I will continue to use this on a weekly basis. If you are thinking of trying this out, do not even hesitate! This is totally worth it. 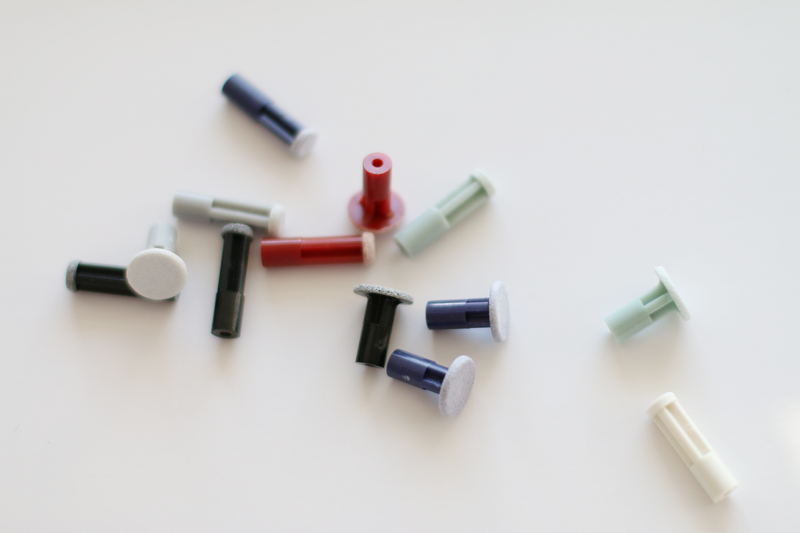 You can find all the details about what is included in the PMD kit here. If you have any questions regarding this beauty tester, leave them in the comment section below and I will try my best to answer. Also, if you have any beauty products, treatments or trends that you think would be fun for this series let me know!